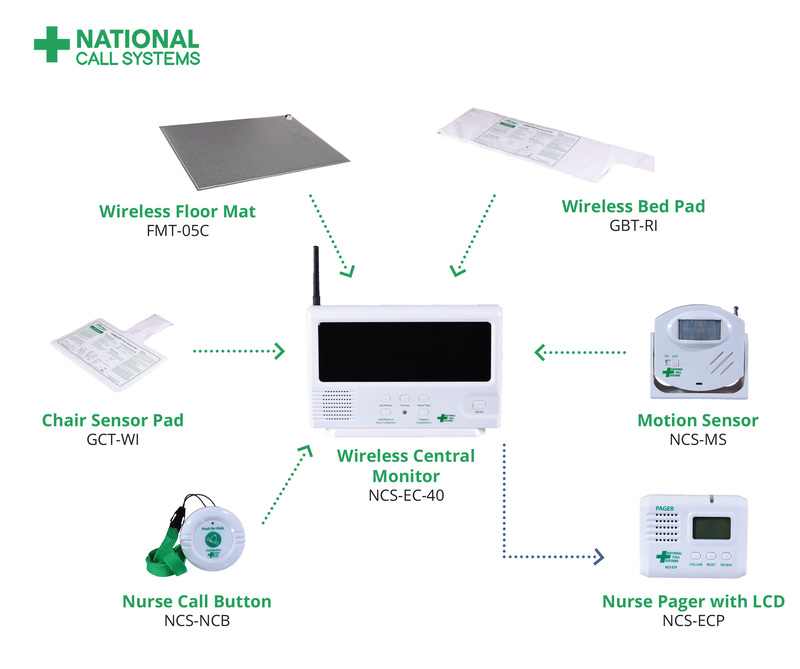 The EconomyCare+ Wireless Nurse Call System is a central monitor system that is programmable for up to 40 nurse call buttons (NCS-NCB), motion sensors, bed and chair pressure pads, and more. 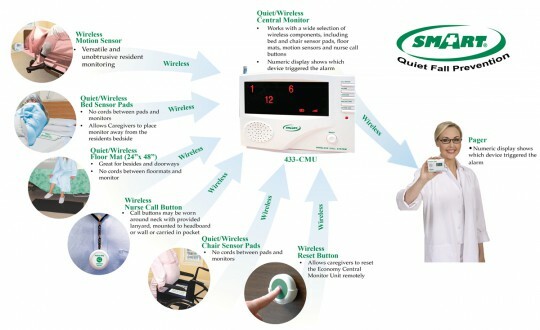 The EconomyCare+ Central Monitor (NCS-EC-40 - Formerly 433-CMU) alarms audibly and visually on the LCD display which resident originated the alarm. 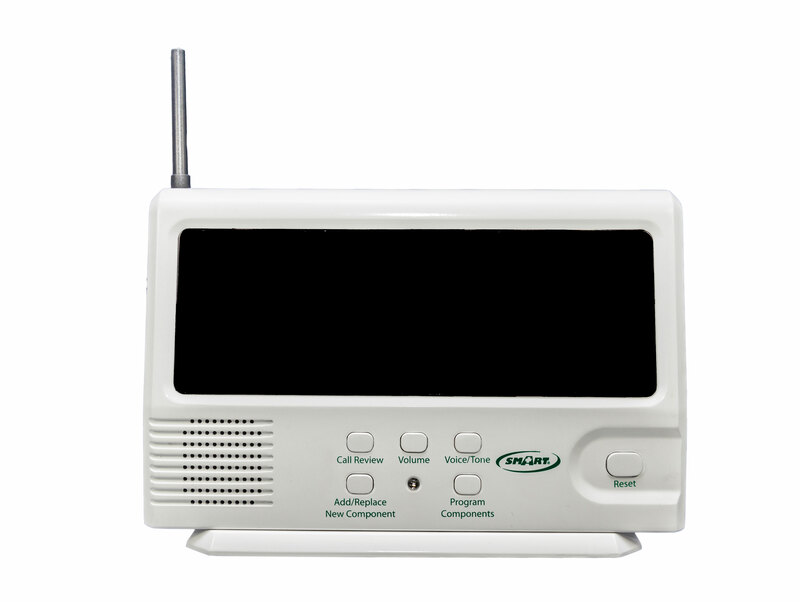 This is a wireless alarm so you can put it anywhere and it will reach up to 250ft. You do have the option of using a AC-04 adapter or 4 C" Batteries. The 433-CMU has many different languages if you need someone else to understand. It is very good on your wallet also for all the features included with the system it is the cheapest priced Cental Monitoring Unit on the market. Economy Care - When you purchase this unit you are saving hundreds of dollars with our affordable pricing. We work in an office administering Evaluations. Normally there are 6 to 8 people at a time in a conference room. For many years we have been using a small bell on each desk to alert the staff when they needed help. Certainly this could be very distracting. We have the monitor upfront with the office staff. They can easily take it with them wherever they go in the office. We attached each of the Individual call buttons to each desk with the adhesive tape that was provided. The client just pushes the call button and the front staff is immediately aware of who needs help. It took about 20 minutes to set up the entire system. The price was very affordable. The product arrived so quickly we were shocked. Thank you, thank you, thank you ! NO MORE ANNOYING BELLS!